Over 700 people came through the gallery, with over a dozen pieces sold: a big hand to Mike Nourse and his Team at the ChicagoArtDepartment! 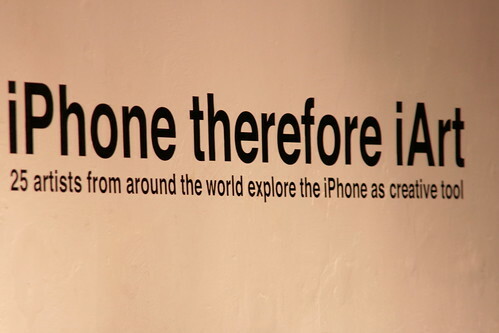 iPhone Therefore iArt show opening from Kirk Bravender on Vimeo. 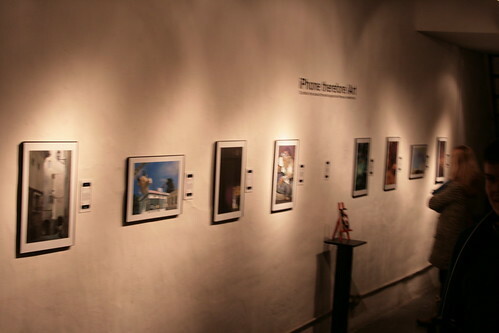 What strikes me most is not only the art shown being made using iPhones, but, as Mike stated, he kinda curated the whole show on his iPhone as well. And what really blew me off was the live coverage by Mia Robinson. I stayed up till 2am and chatted with Matthew Watkins in Italy, Luis Peso in Spain and David Leibowitz in usa, while watching Mia streaming videos using the qik app on her iPhone. Simply amazing. I see a pattern evolve here how art exhibits might embrace online-services, and vice versa. What do you think? This entry was posted on Sunday, January 10th, 2010 at 15:30and is filed under . You can follow any responses to this entry through the RSS 2.0 feed. You can leave a response, or trackback from your own site. Great article Benj! I think this event is even more important for the Art path than we thought. With all that potential showed (paintings, music, photo, video, animation) all coming from a “simple” iPhone AND the fact that some of us could be there through a streamed video (provided by an iPhone too!! ), I would say that we’ve just lived a very important moment of contemporany Art and how this Art is going to be saw. Great account of an important event Ben! Another thing that strikes me is how many more people can be involved in making art. Those who never attempted because material cost and getting space to create was prohibitive. Now anyone with the slightest desire or curiosity can try. 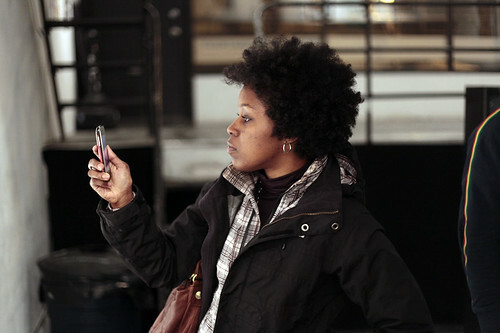 They have their phone or iPod, all it takes is a few inexpensive apps to get stared. About the cost of a latte. And making art, like meditation is definitely good for the soul. Whoops forgot, Great post Benjamin and again Kudos to all involved. It was fabulous to be there. I wish I could have been there! Great Show! Great article! Great to see all this material on the exhibit. Wish I could have been there too to meet you all who attended and see all these nice artworks live. Thanks to Mike for this initiative and Susan for printing one of my pics 🙂 Feels good to have been present in spirit! I’m amazed at how fast and impressively iphone/ipod finger painting has taken off! Congratulations to everyone who made this exhibition happen.